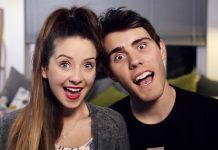 Joe Sugg and Caspar Lee announce DVD UK tour dates! 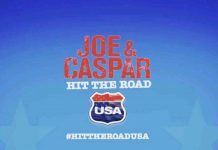 Joe and Caspar used the global power of their fan base to launch their new project Joe & Caspar Hit The Road USA tonight. Famous YouTubers attend world premiere of ‘Joe & Caspar Hit The Road’ at Leicester Square! The YouTube glitterati came out in full force for the world premiere of Joe & Caspar Hit The Road at London’s Empire cinema in Leicester Square on Sunday 22nd November.